One destination with a variety choices to enhance the lives of children & adults. We are the only studio in the area with this diversity. A caring, conscientious, and professional faculty who are passionate about their work. Ceiling-to-floor mirrors in dance studios. 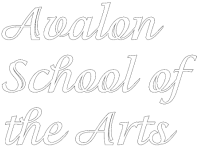 Attitudes Dance and Activewear is located adjacent to Avalon to supply all of your dancewear needs.